Whether you're a prospective employee searching for marketing jobs or an employer posting marketing positions for qualified candidates, you can benefit from investigating these four top marketing websites for job posters and seekers. Each site has its own unique and useful features, helping them stand out from large, over-saturated and highly competitive job boards such as CareerBuilder and Monster. The following marketing job sites may be slightly less familiar, but each offers plenty of marketing job opportunities and new-hire candidate traffic for both employers and would-be employees. The Indeed job search engine saves time because it provides a large number of job listings and a refined search ability for specialties within a specific location and region, among other filters. Indeed aggregates ads from a host of different job sites, working not as a job board but as a search engine across many sites to find that perfect position. 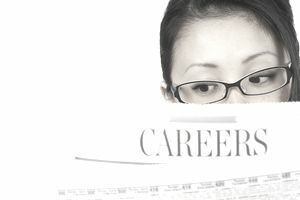 For companies, it's an efficient way to post a job and find qualified marketing candidates without spending a fortune. The site also includes employment trends for various industries, market competition and other useful tools. Many job seekers and employers love LinkedIn--not just for the networking capacity, but for job searching and hiring as well. The platform provides a one-stop shop to post a job, search for a job, find a company that's hiring and research their current employees as well. Job seekers can preview company profiles, see if their contacts have connections to prospective employers and network with others in the industry. Companies looking to hire can view a candidate's LinkedIn profile, peruse their connections, colleagues' recommendations, and job history. Additionally, as of February 2018, potential employers can use LinkedIn's pay-per-click pricing to pay for job postings, allowing for budget control and refined candidate searching. It's a key tool in the job hunt and candidate search toolkit. Founded by a former recruiter, eMarketing Silo is a very focused job search website for the digital marketing niche, offering benefits for both employers and job seekers. The eMarketing Silo site has a database containing thousands of online marketing jobs, many original postings to the site, and others aggregated from top job-search sites. The site's approach is fairly hands-on, with resources such as candidate lead generation and targeted articles providing interview questions and assistance for use by potential employers. Additional articles, such as search engine optimization (SEO) and search engine marketing (SEM) interview questions exist to aid job candidates in preparing for interviews. For job seekers and hiring firms looking specifically for digital, or online marketing jobs or talent, this niche site may be an effective route to explore. The AMA is an organization that represents the "best and next" practices in marketing. This well-established member organization includes a career section with the ability to post new jobs, search for positions and save listings of interest. This site stands out because it also offers other resources to help job seekers brush up on marketing skills for potential employers, including research reports, case studies, and a marketing toolkit among other things. Prospective employers may find it valuable to join the organization and network with other marketing industry members in addition to finding qualified job candidates.